When you just have to listen to show tunes….. Some moments sneak up on us, catching us completely off-guard while other moments just slap us in the face. The hand print is still on my cheek from my experience this afternoon. We were being bombarded by the first snowfall of the season. It was in our forecast so it was no surprise. What was a shock was my immediate thought to call my mother and tell her to stay indoors today. I was driving home from work and, without hesitation, was reaching for my speed dial to call her number when I realized what I was doing…..and then the tears came. My mother passed away in March of 2014. Even though I was a mere 1/2 kilometre from my house, I had to pull over at the end of my road to collect myself. I have felt my mom’s presence quite a bit lately, and so has my brother. He actually admitted to me that he was listening to the Cabaret soundtrack at work (sorry, Jamie) and I know that was my mother’s doing. 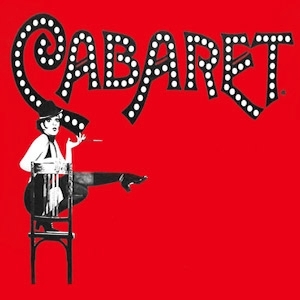 Cabaret was one of her favorites, and although my brother didn’t spend the countless hours my mom and I did watching old musicals, the nostalgia of the music was not lost on him. I never doubt that my mother will always be here when we need her. As I took a break from writing this post, she prodded me once again in her subtle way. A duet with Barbra Streisand and Barry Gibb magically appeared on my news feed on Facebook and it was one of my mom’s favorite Barbra songs. “What Kind of Fool” doesn’t believe that messages can be sent from those who have passed? She is here….inserting herself into the moments that she feels she is needed. Her mother-instinct is still alive and well and she knows, perhaps better than we do, that she can still help guide us through those moments when only a mom can say or do the right thing. And, once again, she is correct. I do need her now…..and maybe my brother does as well. And even if my worries are not about me, her presence and her calming influence are making me feel like everything is going to be ‘real fine’.